The Commuter, the new film from celebrated cross-genre filmmaker Jaume Collet-Serra, pairs the acclaimed vulgar auteur once again with Liam Neeson (following 2011’s Unknown, 2014’s Non-Stop and 2015’s Run All Night) to deliver a thrilling high concept action film with timely yet flawed social commentary. Liam Neeson stars as Michael McCauley, a 60-year-old retired cop who is unexpectedly laid off from his job as an insurance salesman. During his long commute home to the suburbs, he is approached by the mysterious Joanna (Vera Farmiga) who promises him $100,000 if he can find a specific passenger going on the train who may be witness to a major conspiracy. The Commuter is conscious of its leading star’s durability as an action star, a position the Oscar-nominated Neeson did not find himself in until the 2009’s Taken (though certainly anticipated by roles in 2005’s Batman Begins and 1999’s Star Wars Episode I: The Phantom Menace). 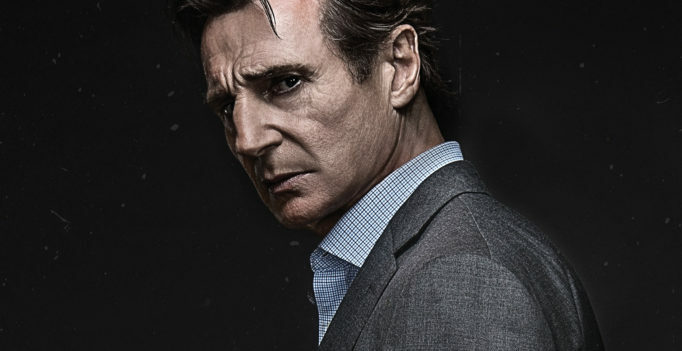 The fights are hardly one-sided, and Neeson’s own physicality is flawed: he sweats and hyperventilates, relying on his quick wits to overcome his weaknesses as a fighter. 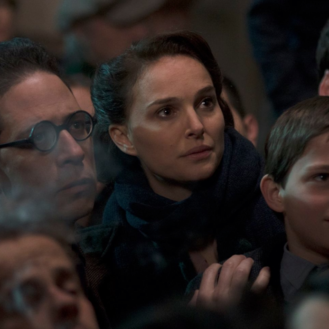 The film’s decision to mostly centre on the dilemmas of the ostensibly shrinking middle-class also belies a troubling story of the relationship between race and class. The Commuter runs the risk of portraying white saviourism, as people of colour are frequently portrayed as a hindrance. Characters of colour are presented as pawns and victims of the mysterious and vast corporate empire who serves as the film’s unseen (save for Farmiga’s necessarily underdeveloped Joanna) antagonist, pointing to an appropriative and liberal identity politics where racial minorities are effectively deployed as tools towards the accumulation of capital. The social commentary certainly invites criticism, particularly towards the patronizing and subservience of characters of colours to secondary, sometimes villainous roles (including an assassin played by Kobna Holdbrook-Smith, who seems to suggest he is an unwilling participant in the ordeal). Aside from a complex and awkward social commentary, The Commuter shows off Collet-Serra’s unquestionable talent for action sequences which include a long-take fight scene and an explosive derailment. Collet-Serra has developed a reputation for his smart and innovative approach to genre filmmaking, and he demonstrates here a consistent ability to turn generic high concept storylines into taut and entertaining films. The Commuter is an impressively-made action film that occasionally straddles a troubling line when it comes to representation.